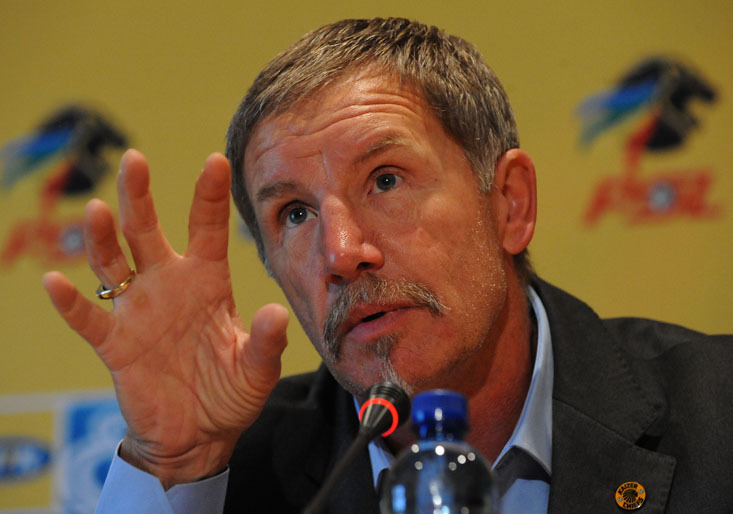 Head honcho: Stuart Baxter Pic: Duif du Toit/Gallo Images. It does not look as if Kaizer Chiefs’ woes will diminish in the near future. For their Absa Premiership game against high-riding rookies Polokwane City tonight, Amakhosi have suffered a double blow. Striker Knowledge Musona and defender Siboniso Gaxa are suspended for the clash at FNB Stadium and their absence may hamper Chiefs’ hopes of redeeming themselves from the weekend’s setback. They received their fourth bookings on Saturday when Chiefs lost 1-0 to Platinum Stars in a Telkom Knockout semifinal. With chief striker Bernard Parker and Lehlohonolo Majoro failing to hit form and Kingston Nkhatha relegated to the bench, Stuart Baxter’s side need to dig deeper than they have done in the past to bounce back. And it does not look like they will have it easy against City. City have been boosted by their 1-0 win over Mamelodi Sundowns last month which saw their confidence soar as soon after that win they collected seven points out of a possible 12. City’s recent win was against University of Pretoria, a convincing 3-0 victory last weekend. Tonight at the Nasrec venue, Boebie Solomons men should be out to prove whether their recent rich vein of form is a fluke or not. Perhaps, Baxter may be tempted to recall Kaizer Motaung Jnr from the bench to solve the team’s finishing crisis up front. Baxter indicated that he may rotate some of his playing personnel for this evening’s match, but it remains to be seen if his fringe players deliver under pressure. The defending PSL champions are sixth on the table and for them to keep up with the title chasers, they need to be somewhere within the top four in the standings. City are in 10th spot and if they maintain their current form, they are likely to stay in the top flight next season. As they have shown against Sundowns, facing big teams does not scare them and beating Chiefs may further establish them as one of the household names in the PSL.